In Canada, approximately 70 percent of youth participate in some form of organized sports. In most sports, some type of protective gear is either recommended or provided to the participants. One critical item that no player should play without is a custom-fit mouthguard or sports guard.This protective piece of equipment should be worn for contact sports of all kinds. Currently, the vast majority of amateur athletes however, wear store-bought mouth guards. 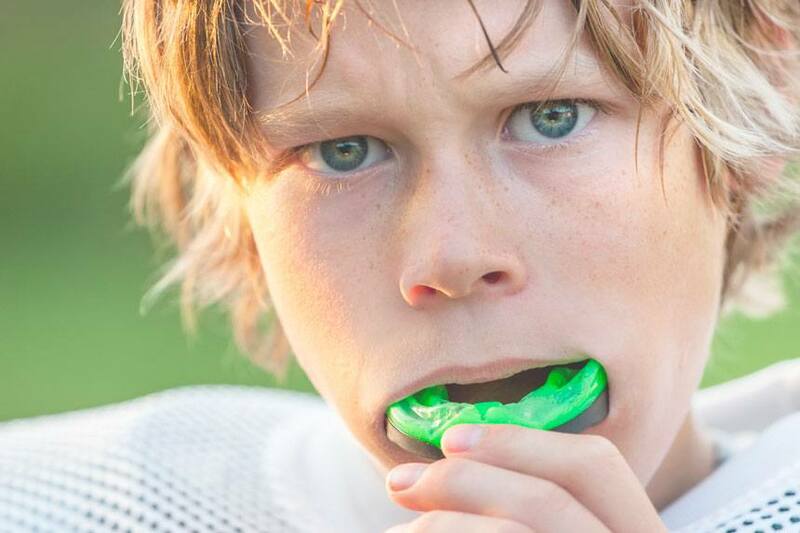 Only about 10 percent of amateur athletes and student athletes are fully protected with a custom-fit mouthguard. A custom made sports guard is fabricated by a professional such as a dentist or hygienist. This custom-made sports guard meets the requirements for full protection, is comfortable, resilient, and not too thick. The mouthguard should remain tasteless and odourless throughout the playing season. It should feel comfortable and should not impede normal swallowing or breathing. The thickness of the mouthguard should provide adequate shock absorption to prevent injury or concussion if there is impact on the lower jaw. The most common commercial sports guard used is the "boil and bite" guard which can be purchased in a sporting goods store or may even be provided by a sport league or coach. With this type of generic sports guard, a thermoplastic material is placed in boiled water for a short period of time and then placed over teeth. This action will form the mouth guard to teeth. The boil and bite guard almost always feels too bulky in the mouth, and only provides limited protection. Because this type of guard comes in standard sizes they tend to leave teeth at the back of the mouth unprotected from impact injury. It is necessary to reach optimal thickness and extension within the mouthguard in order to protect teeth, jaw, face and head. This is something only possible with custom made sports guards. Don't leave you or your child's smile, jaw, or head vulnerable to injury during sports! 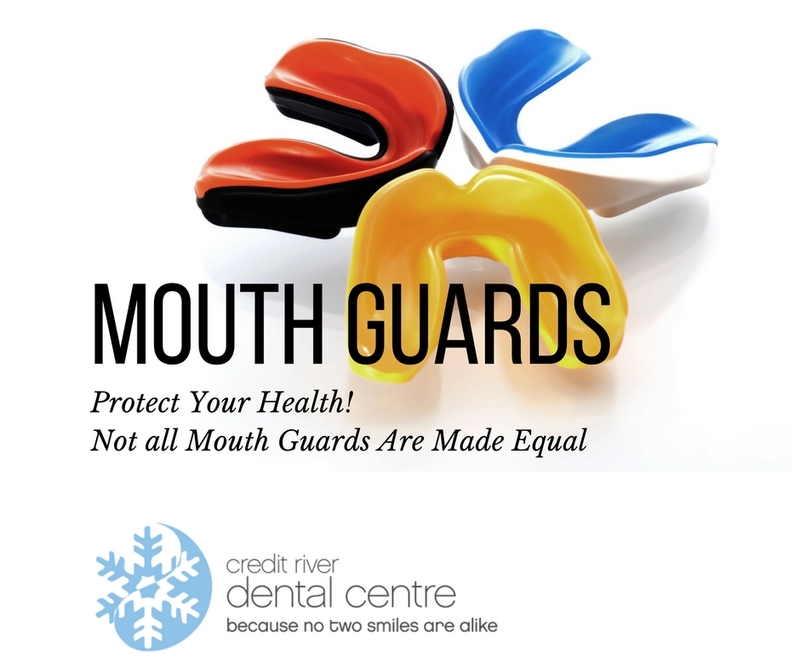 Call us today at 905-278-4297 to book your sports guard appointment!